Tinker gets home about two hours before her older sister this year. I’ve been asking her what kind of things she’d like to do this time. Most days she enjoys tinkering by herself with Legos and puzzles to unwind after a busy school day, but she has also asked to “get messy.” I was happy to oblige and set up this fun sensory play invitation after school one day. 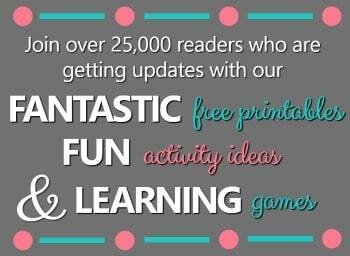 It certainly is messy! Don’t worry it’s pretty easy to clean up too! We even added in a counting song to practice one-to-one correspondence and counting. Small toy pigs-We had some from a miniature farm set. If you don’t have any from other toy sets, this play set will work. 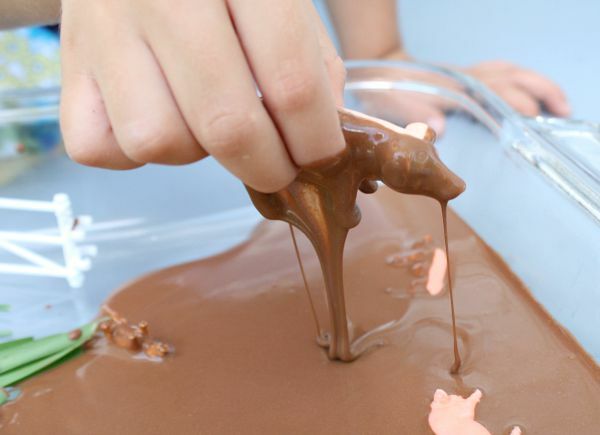 Prepare the “mud” by mixing the cornstarch, unsweetened cocoa powder, and water in a mixing bowl. Stir to combine the ingredients. Mix to your desired consistency. If the mixture is too runny, add more cornstarch in 1/2 tsp increments. If the mixture is too thick, add more water in 1/2 tsp increments. Prop the baking pan up about 1 inch on one side with something like a smaller container or a rolled up towel. 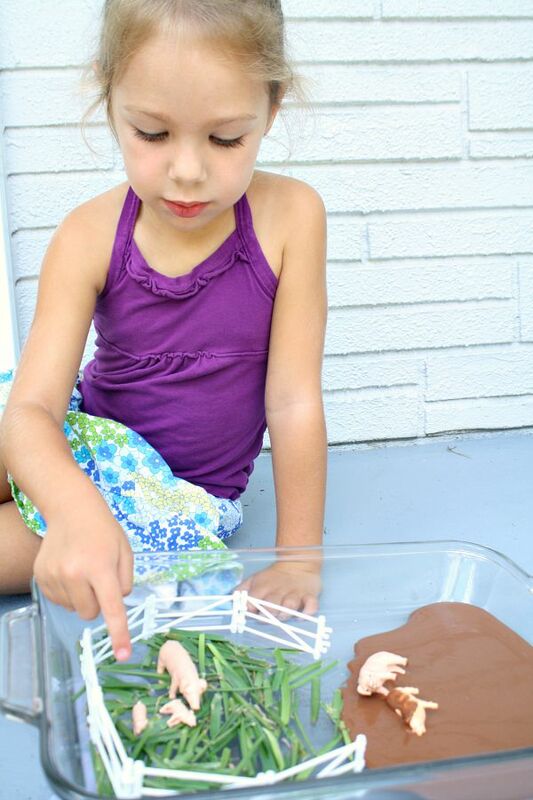 This will keep the mud on one side of the pan and allow us to do the action rhyme that goes along with this activity. Place the mud on the lower side of the pan. 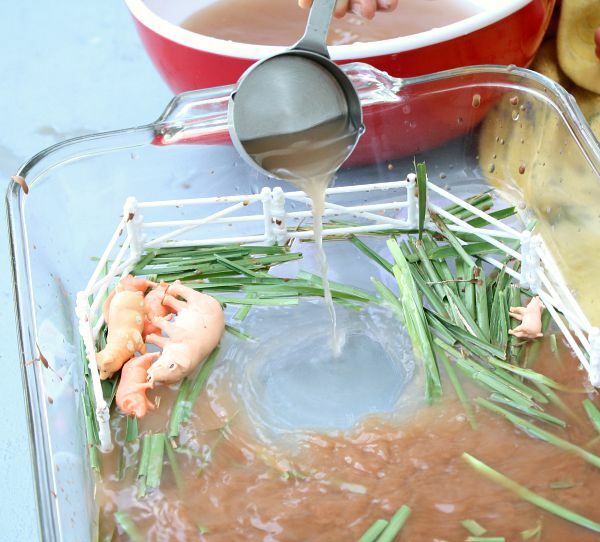 Place the grass, decor and pigs on the higher side of the pan. Line the pigs up so they can “roll” into the mud. If your child already knows the song Ten in the Bed song, practice singing that a couple of times to review it. If not, go ahead and introduce the simple song below. Practice a few times. 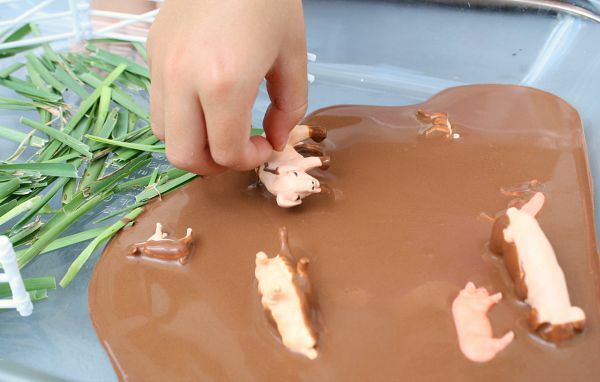 Then model making the pig closest to the mud roll over and fall into the mud. 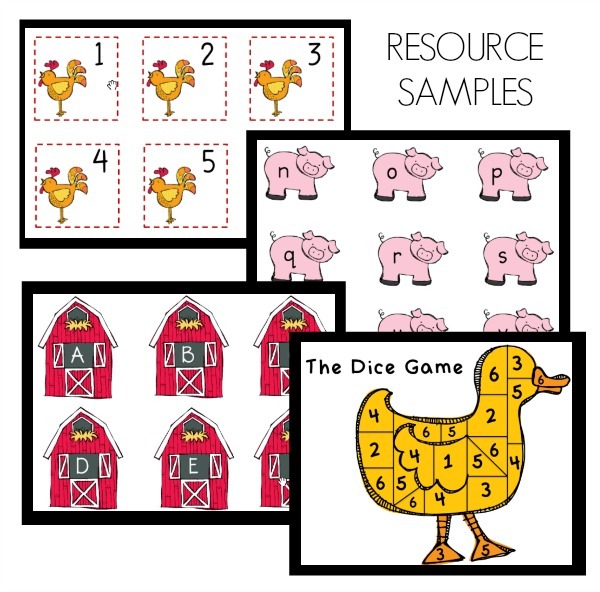 Let your child sing along and roll one pig into the mud each time. After each pig rolls in the mud count how many are left. Then sing the song again using the new number. Continue until all pigs are in the mud. There were ___ in the pen and the little one said roll over, roll over. So they all rolled over, and one fell in. Once all the pigs are in the mud it’s time to get messy! 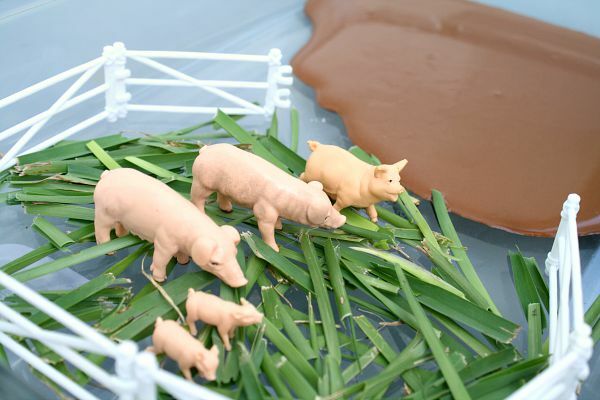 Sit back and watch as kids explore the texture of the mud and the grass and have fun playing with their pigs in the mud. 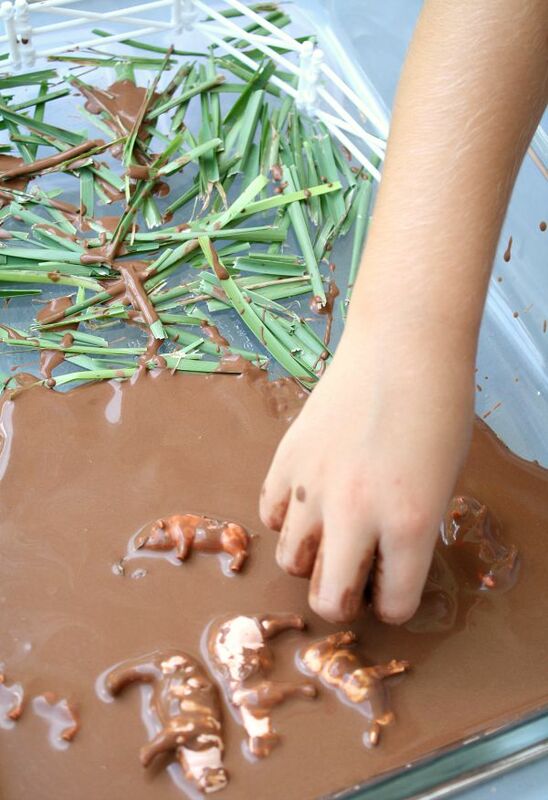 At first your child may be hesitant to get messy, especially if this type of play is new to him or her. 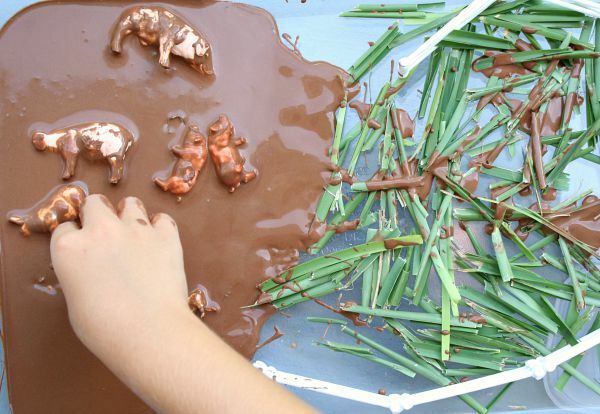 Be sure to let your child know it is okay–and fun!–to get messy. Wear play clothes, and if needed show them that you aren’t afraid to get messy to by diving into play. Worried about cleanup? When it seems like your child is finishing up bring out a bowl of water and an old towel. They’ll pretty much clean up for you! Tinker made a mud bath for her pigs, and by the end almost everything–including her–was clean. 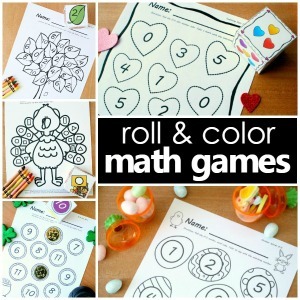 Read these books to go along with playtime.